In the spirit of writing more, this week I’ve decided to tackle another writing challenge, specifically the Trifecta Writing Challenge, where we’re given a one-word prompt on which to base a 33 to 333 word story. This week the word is ample. 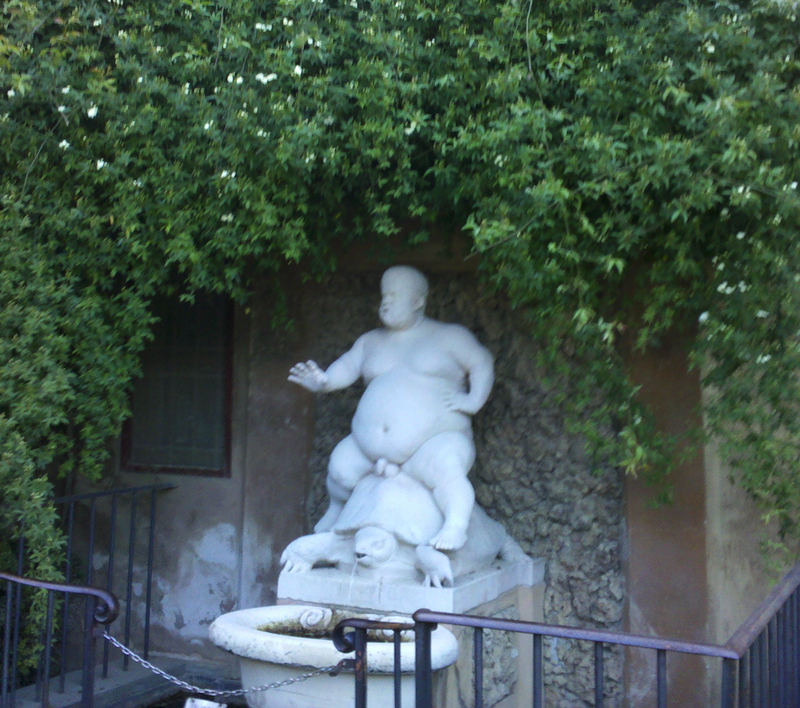 Now, in the Boboli Gardens in Florence there is a statue of a fat dwarf sitting naked astride a giant turtle, and for some reason this was the very first thing I thought of when I read the prompt (but let’s not read too much into that, ok?). The statue is of Pietro Barbino, court jester to Cosimo I de’Medici, a Tuscan Duke of the 16th century. But I won’t bore you with Wikipedia research. Let’s just get to his story, shall we? I took this picture of Mr. Barbino myself. You should be thankful it’s a little blurry. Pietro Barbino was short of stature, ample of bosom, and drunk of wine. He tottered to the fountain and sat with a groan.